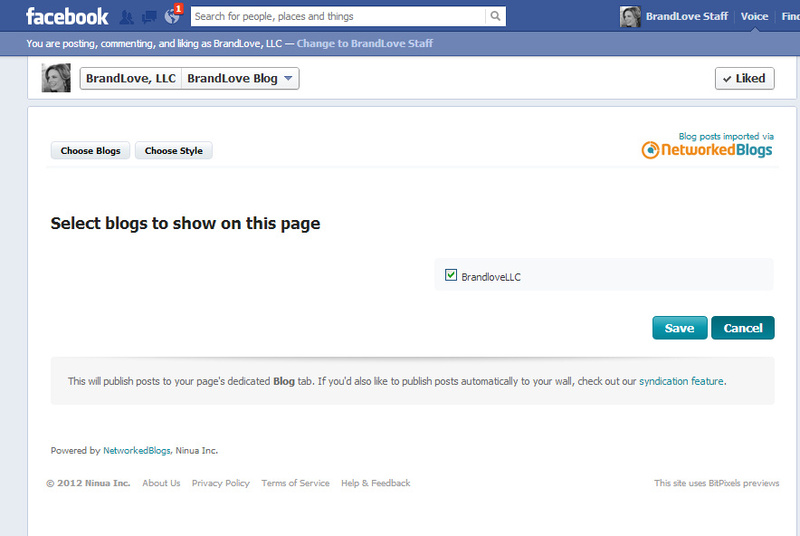 ← [Promote Yourself] It’s Your Turn to BRAG YOUR BLOG to Create Brand Awareness and Drive Traffic! Was there a recent change in Networkedblogs policy to charge for adding a blog tab to your facebook page, or was this something you forgot to mention? It seems like in their free service, they do say they provide it for free. But when you get to your dashboard, they tell you that you must purchase their minimum “Basic” service for $9.99 per month. Orlando, I’m unable to add another blog to test this to see what you’re referring to. When I wrote the article, I was able to click on the free version to add mine and I didn’t get prompted to choose the basic service for a fee. 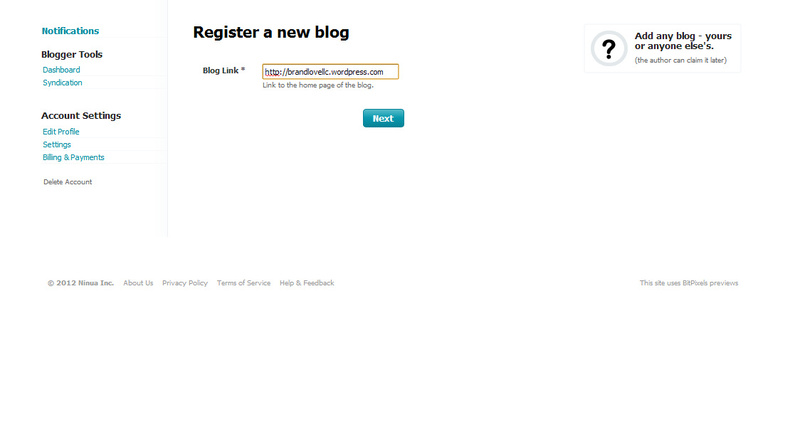 Have you used networkedblogs before? I’m wondering if you can only use the free app once and then they charge you. Also, I had someone send me a note last week saying they were successful in adding the tab. If you find anything out, please let me know and I’ll update my article with the new information. Thank you for your comment. I was not allowed to move to the point I could choose the page I wanted to connect to. It put me on a price page and wouldn’t allow me to move further. It tells you when hover over the “create tab…” link that it requires the purchase of their “Basic” package. 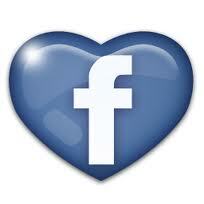 Orlando, I just added it to my Facebook page right before I wrote the article. I did not pay to add the app. Let me check to see if they changed their basic service. Stay tuned. I’m wondering if you’re trying to add a feature like the below example that’s not covered in the Free plan and that’s why you’re getting prompted to upgrade to the Basic paid plan? On your Blog tab, click Choose Style. A list of theme options will show up.For each style, there are different formats available. The style will change the overall look and feel of your tab. 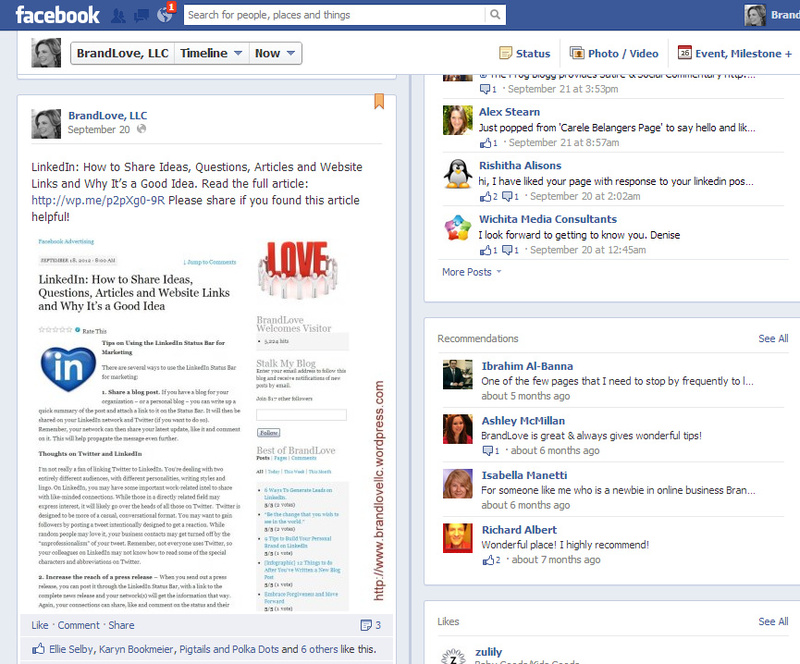 The format will change how specific blog posts are viewed on-screen. Click on a radio button to choose an option, then press Save. The page will refresh and you’ll be able to see your changes immediately. 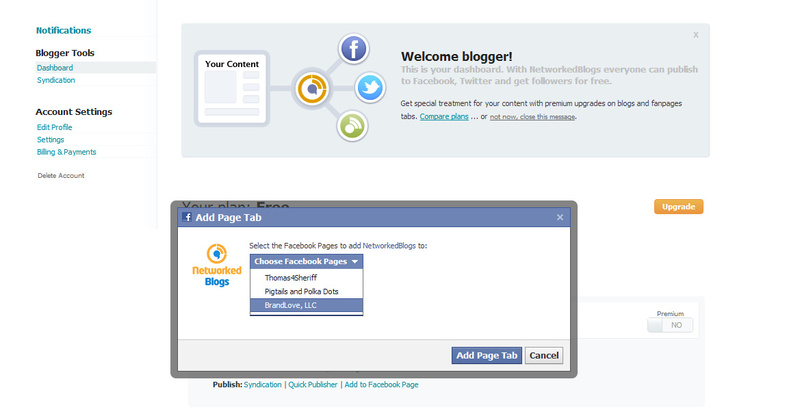 Where you directed me to click on the blogger dashboard after, under “Publish” I hoveredover yhe words “Add Tab to Facebook Page” when it says “Requires Badic Paid Plain.” I can’t get beyond this point. Are you sure that you didn’t pic a tab theme or another paid feature when you started setting up the app? The site confirms that I am listed with them as a free listing. I just followed your directions step by step. Do you not receive the same message? 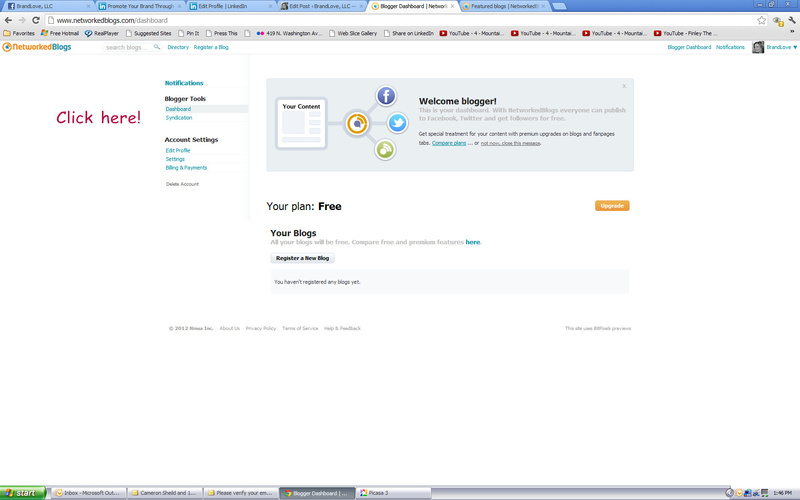 I didn’t have any problems using the free app when I linked my blog. 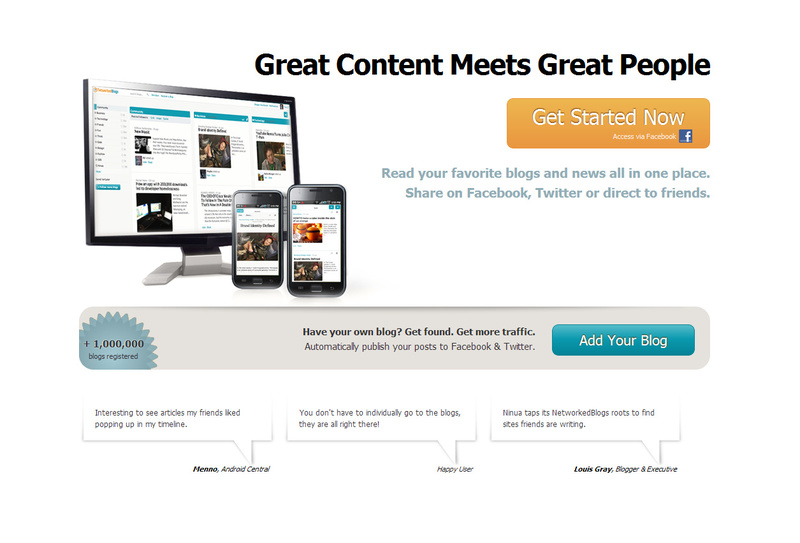 Did select personalizing your blog app? No. Where? When? I don’t remember seeing that. When you were setting up, you may have clicked on a feature that is a paid feature and that’s why you’re getting sent to the basic package. I would start all over again and make sure you don’t click on any extra features. Have you tried to open an account since you got my message? The link we are discussing still says when hovered over that it charges for this service. Was I right? Did they change their policy? 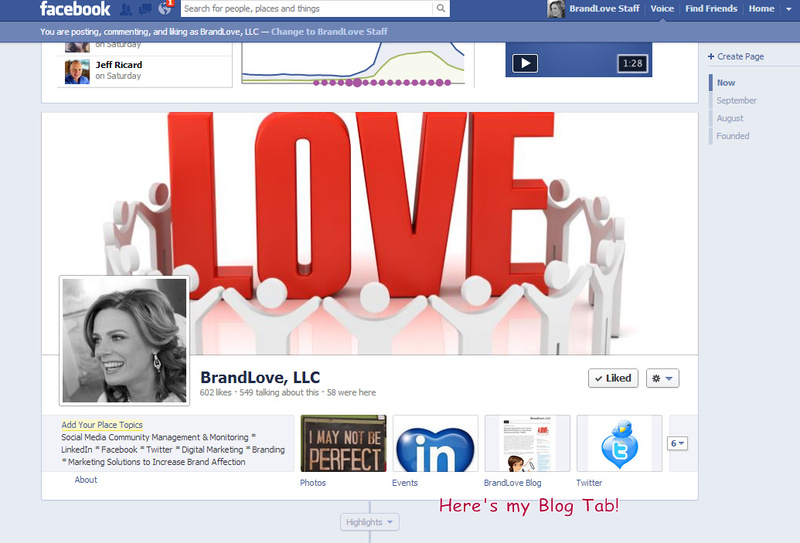 >Howdy, >	>BrandLove, LLC commented on: Facebook Tip: Link Your Blog to Your Facebook Page to Drive Traffic (Free App!). > >Comment URL: (https://brandlovellc.wordpress.com/2012/09/26/facebook-tip-link-your-blog-to-your-facebook-page-to-drive-traffic-free-app?cpage=1#comment-715) >Post URL: (https://brandlovellc.wordpress.com/2012/09/26/facebook-tip-link-your-blog-to-your-facebook-page-to-drive-traffic-free-app) > >This was in response to ohulse: >———- >No. Where? When? I don’t remember seeing that. I can’t start a new account and try it for myself because I already have signed up with my FB page and it’s linked to my blog. We’ll have to wait and see if anyone else has this issue. Someone recently sent me a note stating that they’ve linked their blog to their FB page for free within the last two weeks.